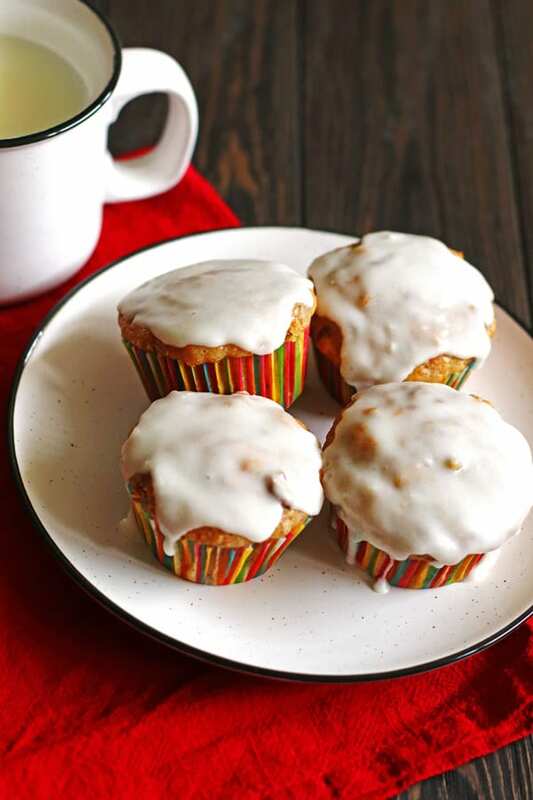 If you love carrot cake, you will love these delicious Carrot Cake Muffins! 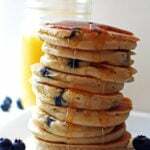 They are quick and easy to make and are a great breakfast, brunch or dessert recipe. 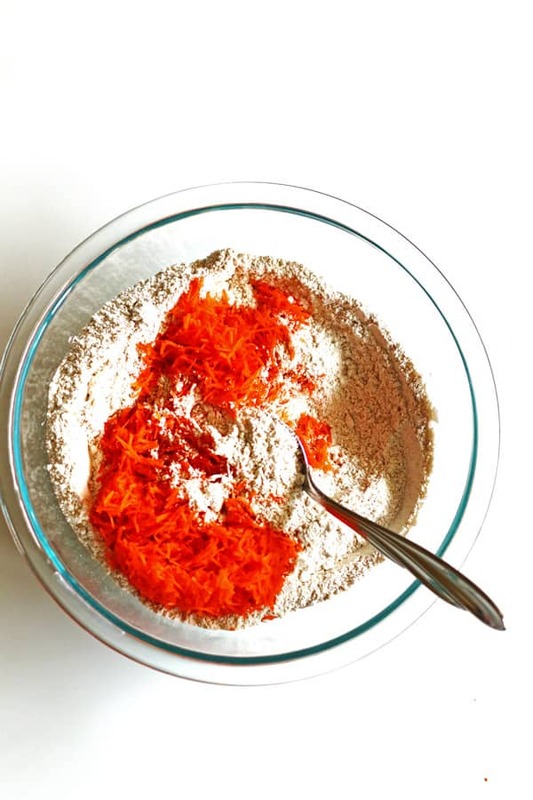 It is spring time which makes us think of certain recipes…like carrot cake. 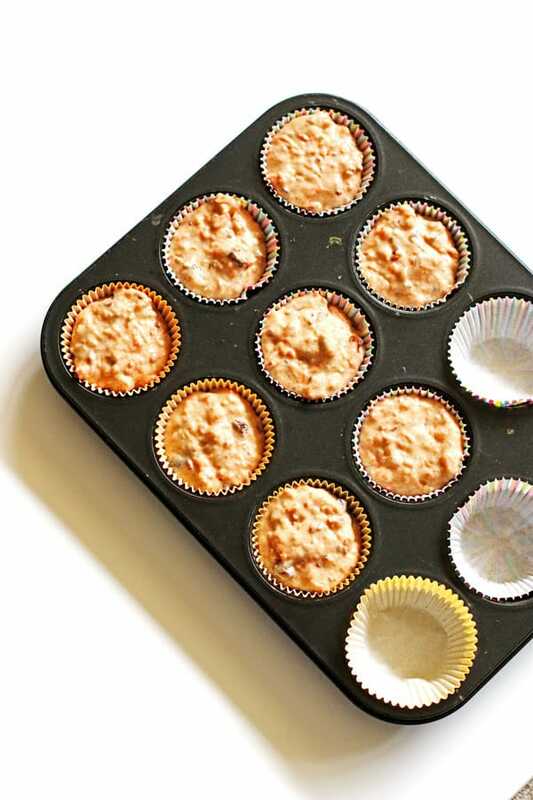 So how about making some Carrot Cake Muffins? They are delicious and moist just like you like your favorite carrot cake recipe. The muffins are a great recipe for Easter brunch or dessert table. If you love carrot cake, then this just might be a new favorite recipe for you! This recipe does not need a mixer. Just a whisk and a large spoon or spatula will do the trick! Preheat your oven to 375 degrees. Place cupcake liners in muffin cups. Shred the carrots. I like to shred my carrots myself since sometimes the pre-shredded carrots you buy at the grocery store are drier. Set the shredded carrot aside. In a medium sized bowl, whisk the eggs one at a time. Add in the milk, applesauce and vanilla extract. Whisk until all the ingredients are combined. Set that aside. In a large bowl, combine the flour, sugar, baking powder, cinnamon and salt with a large spoon. Add the shredded carrots and mix well. Melt the butter in the microwave. Heat the butter for 20 seconds and stir. If more time is needed then do an additional 10 seconds at a time, stirring each time until it is just about melted. Add the egg mixture and melted butter to the dry ingredients. Stir until all the ingredients are combined. Mix in the chopped nuts and raisins. Mix just until the are combined with the other ingredients. Fill the lined muffin cups to the top of each cup. I like to use my 1/4 cup ice cream/cookie scoop for this step. It scoops out the batter nicely and helps give the muffins a nice rounded top. Bake at 375 degrees for 20 minutes. Check them with a toothpick to make sure they are done. If it comes out clean, they are done. These muffins are delicious just as they are, but we like to add a glaze to the top to make them even sweeter! It is best to put the glaze on the muffins while they are warm. I would suggest making the glaze in the last five minutes of the baking the muffins so it is ready to go when they come out of the oven. Melt the butter in the microwave for 20 seconds and stir. If it is not melted enough, do an additional 10 seconds until the butter is melted. 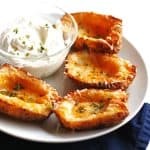 Pour the melted butter into a bowl and add the powdered sugar and milk. Whisk until you have the consistency you want. 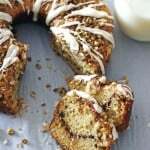 In my house, we like it a little thicker so this recipe makes a thicker glaze. If you want a thinner glaze, then add more milk to the recipe. Add one tablespoon of milk at a time until you have your desired consistency. Using a spoon, drizzle some glaze over each muffin. Use the back of the spoon to spread out the glaze if needed. Let them sit until the glaze sets and the muffins cool completely. Store them in an airtight container. When making this recipe I like to use brown sugar instead of granulated sugar. Brown sugar gives more flavor and moisture than granulated sugar. To make sure you have a nice moist carrot cake muffin, make sure you shred the carrots yourself. The bags of pre-shredded carrots sold in stores are drier than if you were to shred them yourself. When I make muffins, I like to use my OXO Good Grips Large Cookie Scoop to spoon out the batter. It makes it easier to scoop the batter and also gives a nice round muffin. 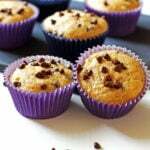 The scoop I use is a ¼ cup size and works great to fill up the muffin cups. Make the glaze when the muffins are just about done baking (about five minutes to go). It is best to put the glaze on the muffins while they are still warm. 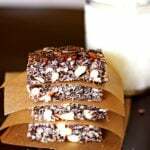 Nut variation: The recipe calls for walnuts, but you can use chopped pecans or your favorite nut instead. 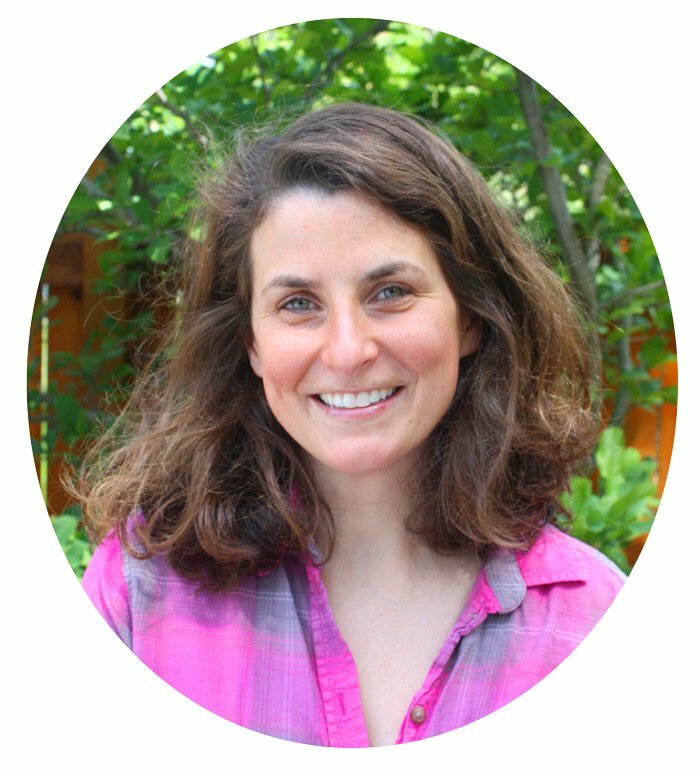 Want to make it nut free? Skip the nuts. The muffins can be frozen. Just place them in an airtight container. They can be frozen for up to six months. I also have a fun and easy recipe for an Easter treat made with Rice Krispies cereal. My kids love them. They are my Chocolate Surprise Easter Eggs. So yummy…I have to say they are a favorite of mine too! 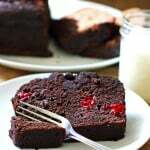 If you try this recipe, let me know what you think by leaving a comment and rating below! Thanks! 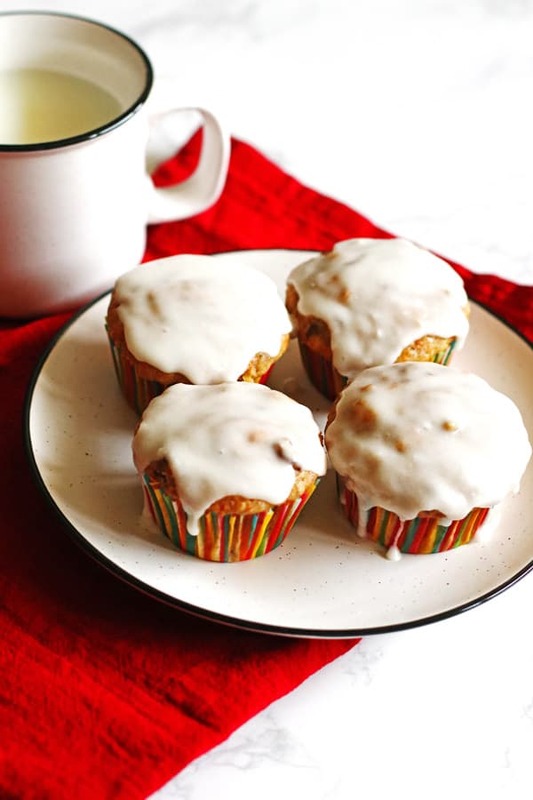 These Carrot Cake Muffins are easy to make and perfect for a breakfast, brunch or dessert! 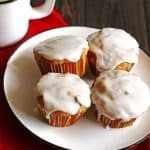 If you like Carrot Cake, you will love these muffins! Preheat oven to 375 degrees. Place liners in muffin cups. 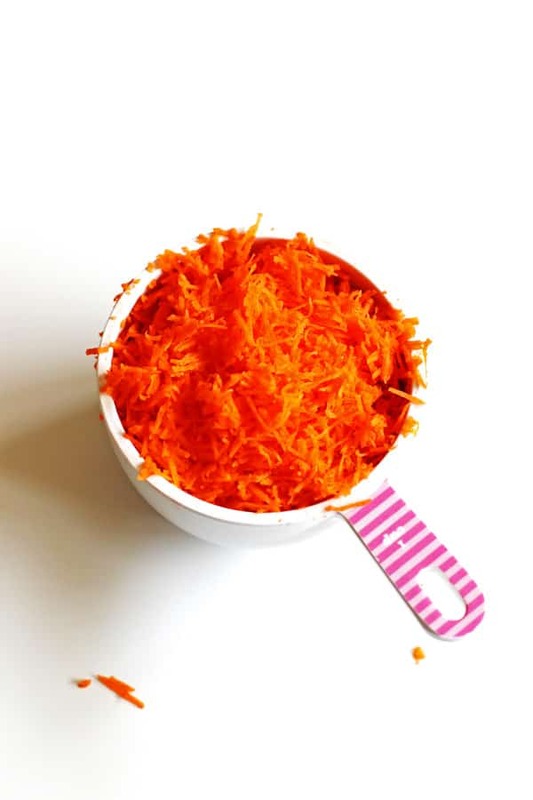 Shred the carrot and set aside. In a bowl, whisk the eggs, one at a time. Add in the milk, applesauce and vanilla extract. Whisk until all ingredients are combined. Set the egg mixture aside. In a large bowl, using a spoon, combine the flour, sugar, baking powder, cinnamon and salt. Add the shredded carrots and mix well. Melt the butter in the microwave for 20 seconds and stir. If more time is needed to melt the butter, do 10 second increments stirring after each one until the butter is melted. Add the egg mixture and melted butter to the dry ingredients. Stir until ingredients are combined. Mix in the chopped walnuts and raisins. Spoon batter into prepared muffin cups. Fill to the top of each muffin cup. Add the powdered sugar and milk to the butter and whisk until all the ingredients are combined. 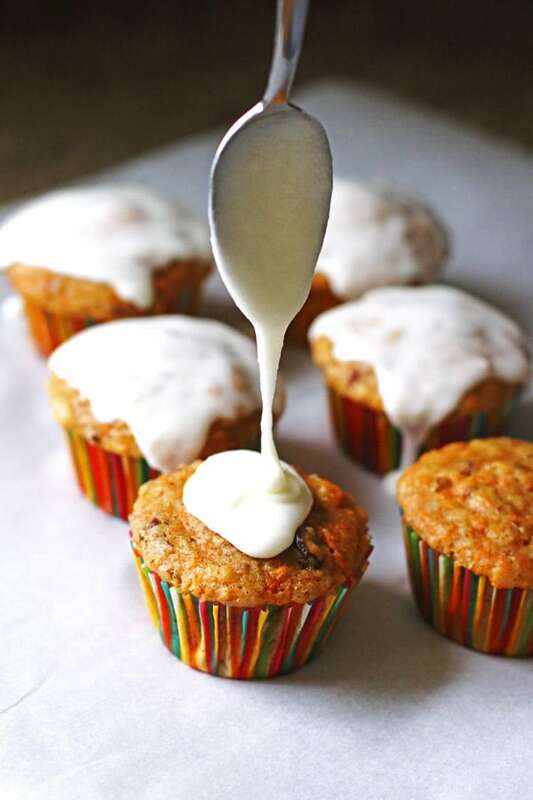 Using a spoon, drizzle a little frosting over each muffin. Use the back of the spoon to spread out the glaze if needed. Let them sit to let the glaze set and muffins cool completely. 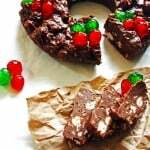 Update Note: This recipe was originally posted in 2017, but was published again in 2019 to include step by step directions and new photos.